Ask the average, moderately informed film lover about great music festivals captured on film, and you’ll likely get answers that range from Woodstock to … well, Woodstock. Go a little deeper and you’ll find Monterey Pop. The latter gets its own Criterion Collection treatment in December. But before that, you can enjoy Criterion’s presentation of Murray Lerner’s Festival, a documentary from four years of footage Lerner shot at the Newport Folk Festival. The result is fascinating, both as a document of the counter-cultural movement of the 1960s and as a revealing glimpse of artists who would influence music for decades to come. (And most of whom are no longer around.) As with those other festivals—not to mention concert films such as Demme’s Stop Making Sense—the best way to appreciate Festival is to stop talking and listen to the music. This restored 2K digital transfer is a good place to start. Life is full of quiet indignities. 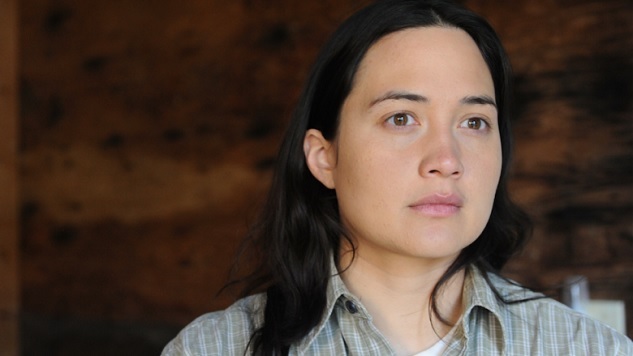 Kelly Reichardt’s sixth feature, Certain Women, is full of life. The film is built on reaction shots of its actresses—Laura Dern, perennial Reichardt favorite Michelle Williams, Kristen Stewart, and the sterling Lily Gladstone—as they buckle beneath the weight of insults both intended and unwitting, and accidental injuries inflicted on the spirit. The title lends the picture a sense of specificity, though its most specific detail is its setting, Montana, a whole state away from Reichardt’s beloved Oregon; small town sprawl and open range turn out to be the perfect backdrop for her mournful character studies, and Big Sky Country has a surplus of both. The marriage of location and aesthetic proves haunting from the first frame. Reichardt’s addition to the Collection feels significant for the company in a year where its gender discrepancies have been addressed in mildest terms; padding their library with works by Kirsten Johnson, Chantal Akerman, Agnieszka Smoczynska, and Donna Deitch shows their awareness of the label’s imbalance between sexes, but the inclusions feel like table scraps in terms of quantity. In terms of quality, Certain Women feels like a gift. Reichardt is one of the most talented and yet bizarrely underappreciated contemporary American filmmakers, as evinced by literally every single movie she makes. Of these, Certain Women may be the best. If nothing else, it’s refined, sharply honed even, in ways that her other refined, sharply honed movies aren’t: You can’t watch it without feeling empathy for her leads, and you may not be able to watch it without feeling culpable in the humiliations and heartaches they endure throughout its running time. Plenty of material exists on David Lynch—some care of the artist, much more care of critics and thinkers and admirers and acolytes struggling to dissect the man’s work, especially with the reality that, as he enters his 70th decade, we know we’ll never get much of a dissection from the maker behind it all. David Lynch: The Art Life, last year’s meditative “docu-account” of Lynch talking about the first couple decades of that life we now all die to unearth, doesn’t do much to clear anything up, except for one notion: Even if Lynch were more forthcoming about the ideas and themes worming throughout his muddiest films and art installations, we still probably wouldn’t get much that would satisfy us. As the essay by film scholar and Lynch enthusiast Dennis Lim implies, Lynch’s vocabulary is noticeably limited—he describes many things as “beautiful” and all he says about Eraserhead, the making of which being the point where the documentary ends its narrative, is that he loves “everything about it”—simultaneously simple and detailed, much “like dreams.” In that sense, first-time directors Olivia Neergaard-Holm, Rick Barnes and Jon Nguyen are able to divine in their film the same quiet unease and surprisingly warm sensibility as in Lynch’s work, while staying true to the minimalism and impulse that still drives the artist today.